As upstream companies active within the Norwegian Continental Shelf prepare to submit their tax returns to Norway’s Petroleum Tax Office, Mariann Mitchell, senior tax manager at KPMG, Aberdeen, looks at some of the key challenges and opportunities that companies may encounter when engaging in this market. With recent reports of several new development plans on the horizon for Norway, the Norwegian energy industry is anticipating a promising three to four years of activity ahead. 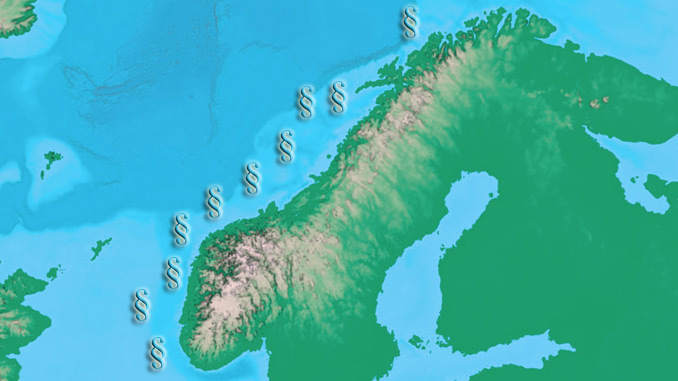 Wider areas of Norway are now being explored, including the West Barents Sea, and discoveries such as Johan Sverdrup and the extension of the Norne field by the Cape Vulture discovery, along with the Johan Castberg, will require new thinking and, in turn, attract new companies to enter the market. Whilst this created renewed optimism about the oil and gas sector in Norway towards the end of 2018, there remains a realisation that major future oil discoveries are essential to prolong Norway’s positive period of activity. To ensure the industry remains sustainable, a shift towards increasing the profitability of smaller finds in Norway is anticipated, and with this shift will come an increasing demand for partnerships and new technologies to exploit this. Norway has always positioned itself as open for business. However, despite the proximity of Norway to Scotland, and the alluring proposition of increased activity, there are some challenges that companies may come up against if they are not fully prepared when they enter Norway’s market – most notably around tax compliance. With an economy so heavily reliant on the income of one dominant industry, the recent downturn has prompted the creation of several technology clusters and centres of expertise in innovation, which has made it much easier for foreign companies to establish a business in Norway and access specialist knowledge, relevant networks and potential partners. The Norwegian Government’s long-term commitment to the industry and the structure of its tax regime and petroleum policies also continues to attract foreign companies to engage with Norway. This was evident in the latest licencing round for the Norwegian Continental Shelf, which attracted high interest and a large number of applications. Whilst the Norwegian tax system is not especially complex, with a stable tax framework and few large or sudden amendments to rates or legislation, for some UK companies with operations in Norway, the multitude of compliance obligations can be overwhelming. Although even the most basic compliance obligations may appear to be burdensome, failure to comply can result in severe sanctions. For example, should you enter into a dispute with the Norwegian tax authorities, you will be required to pay the disputed tax up front, and any refund (if successful) will not be repaid until the case is agreed with the tax authorities or even by the courts. This can take years to conclude, which could have a significant impact on some smaller sized businesses. However, there are upsides to the current tax framework in Norway. The country has a very attractive exploration refund scheme, which means that the tax relating to the exploration cost is refunded to the company (78% of the cost incurred regardless of the exploration being successful). In addition to differing tax regimes the challenge of the cultural differences is something that many do not anticipate. After all, Norway’s energy hub, Stavanger, is only a 50-minute flight from Aberdeen. However, the cultural differences are far deeper than one might think. Norway’s business environment has distinct flat hierarchies, which is markedly different to that of the UK, especially in the more corporate-led industries. Norwegians often work across hierarchies rather than down through the line, and the leadership style is also generally informal and based on employee freedom with responsibility. Understanding and appreciating these cultural differences in Norway will go a long way to accelerate a business forward and grow the necessary network and business partners to establish new industry solutions. Alongside culture, is the challenge of operating in a different language. Norway is a safe and easy country to do business, and most Norwegian’s speak fluent English, which is another reason that many UK companies choose to do business in Norway. However, some aspects of doing business are not so easily translated – especially when it comes to tax and litigation. In the majority of cases, the Norwegian tax system and related legislation will be presented in Norwegian. Should you fall foul of the tax system, correspondence is typically issued by the tax authorities, and will need to be translated before the impact of a decision can be evaluated by the taxpayer in question. And, of course, there is the risk that something may not be translated correctly, leading to the potential for further errors and additional penalties. It goes without saying that despite the market synergies and proximity to Scotland, a solid grasp of the workings of the Norwegian tax system, as well as the differing culture and work etiquette of Norwegians, will be key success factors for any company attracted to Norway’s industry. Penalties for non-compliance for tax can amount to millions depending on the size of the company, so it is wise to ensure that you understand the requirements of operating a business in Norway and to get it right from the start. However daunting these may seem, Norway offers a hot bed of opportunity and growth for businesses and employees looking to succeed overseas. Tax is a cost of doing business, but the penalties can be avoided if you adequately prepare for market entry and in turn, individuals and companies can reap the benefits of working on Norwegian shores. Don’t let complicated tax systems put you off, do your research, make the right enquiries and see how you can prosper in one of Europe’s most robust market places. 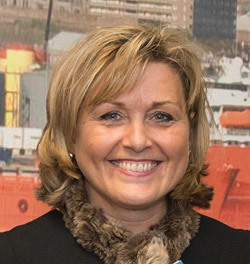 Mariann Mitchell has worked for KPMG in the Aberdeen office for over 20 years, having relocated to the UK after training in Norway, during which time she has worked with many of the major companies operating in the oil and gas sector. Mitchell’s specialism in Norwegian tax coupled with her being based permanently in Scotland gives her a unique insight into the challenges facing UK businesses operating in Norway, including the difference in the two countries’ business culture. Her experience has been invaluable in giving advice to companies around their Norwegian tax compliance, working closely with Scottish colleagues and colleagues in the wider KPMG international network. Mariann also has knowledge of the Norwegian Petroleum Tax Regime, and she regularly deals with the Norwegian Tax Office on behalf of her clients. Mitchell is a Norwegian national and a State Authorised Public Accountant qualified from the Norwegian School of Economics and Business Administration. She holds an ATT qualification from the UK.